I’ll never forget my first pair of thermal shorts—I still have them, in fact. Traditionally a pro-only garment, fleece lined bibs are slowly gaining a foothold in many companies’ product lines. 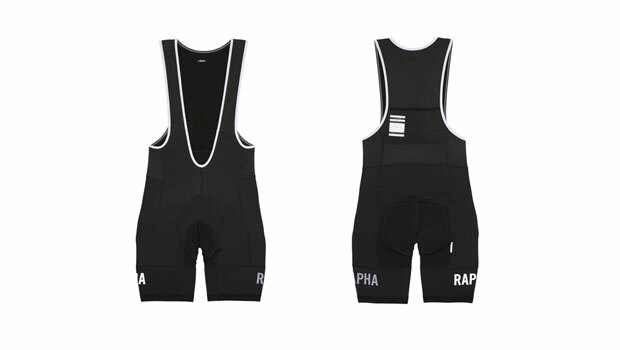 A new addition to their own autumn/winter line, Rapha’s Pro Team Thermal Bib Shorts offer a high-end option for those looking to take the thermal plunge. I’ve been pairing them with the new Merino Knee Warmers (and a little bit of an embro) on days when I previously would have worn tights. (Folks who ride in winters more “cool” than “cold” should grab a pair.) If my wallet makes it through the holiday relatively unscathed, I might even pick-up an extra set for myself, as I have a feeling I’ll wear these out by April. And best of all, they come with a tiny tub of Rapha’s Chamois Cream—a nice little sample of a quality product (and a perfect TSA-approved travelling companion). Pros: As you’re likely to wear them in foul weather, there’s nothing more appropriate than black. Peeves: Me, for posting this after the passing of Rapha’s pre-Holiday shipping deadline—but order anyway; you’ll be glad have them when the New Year rolls around. This entry was posted in Equipment, Featured, Musette and tagged 2011, holiday gift guide, rapha, thermal bib shorts. Bookmark the permalink.